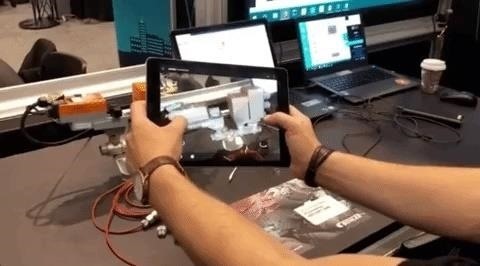 Germany-based Augmented reality software maker Re'flekt has added a new tool to its enterprise app development platform that makes it simpler to link AR content to physical objects. Introduced at the Augmented World Expo in Santa Clara on Friday, REFLEKT ONE: Sync enables tracking of real-world objects based on CAD models. 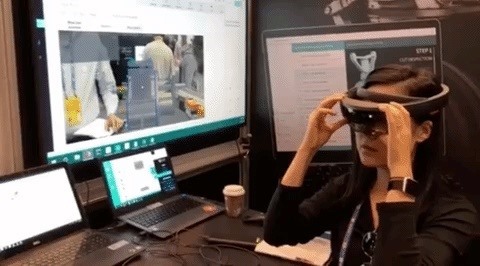 With this level of object recognition, companies can easily convert existing operator manuals, training tutorials, and process workflows into immersive AR experiences. By leveraging a familiar design format in CAD, Sync makes the content creation process simple enough that enterprises can build their own apps with internal resources, rather than farming out the work to a development team. "Re'flekt wants to help companies manage their own AR and MR application development by handling the most tedious and expensive parts of the job at every step — including tracking digital data onto physical objects," said Wolfgang Stelzle, the CEO and founder of Re'flekt, in a statement. "While more companies realize how AR and MR applications can create new value out of existing data — turning that data over to external developers and designers for application development raises costs and even security concerns. With Sync added to the mix, we are handing 100% control over your proprietary data in the AR and MR application development process." Re'flekt isn't the first company to equip developers or enterprises with object recognition. For example, Vuforia introduced its Model Targets functionality with Vuforia 7. And Re'flekt isn't even the first company to announce CAD data for object recognition at AWE, as Epson introduced similar functionality earlier this week via an updated SDK. However, those tools were built for developers, and there's a growing market for tools that make AR creation less technical. For example, Ubimax and Upskill are among the enterprise solutions makers that have adapted their platforms for laypeople, and even Amazon promises to make AR creation as easy as PowerPoint with its Sumerian tool. Re'flekt is working in that same niche, and, by leveraging a familiar format with CAD, its platform makes the app development function even more accessible to those operations personnel in charge of training and development.